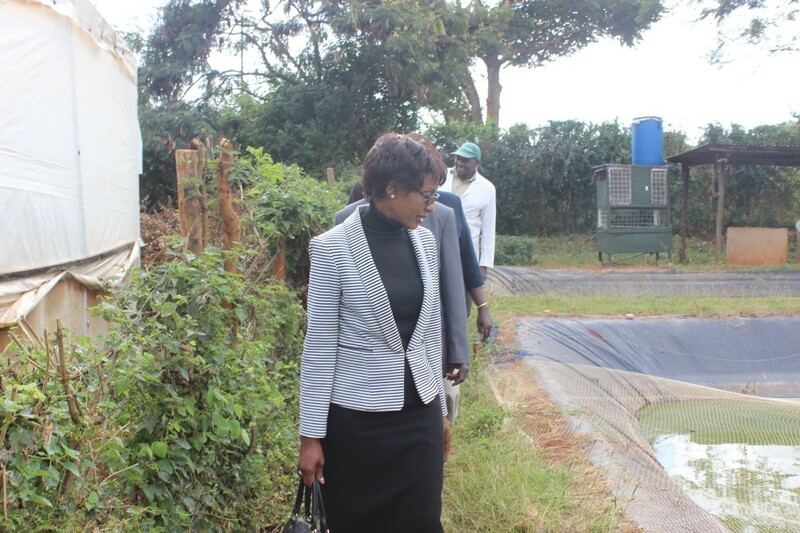 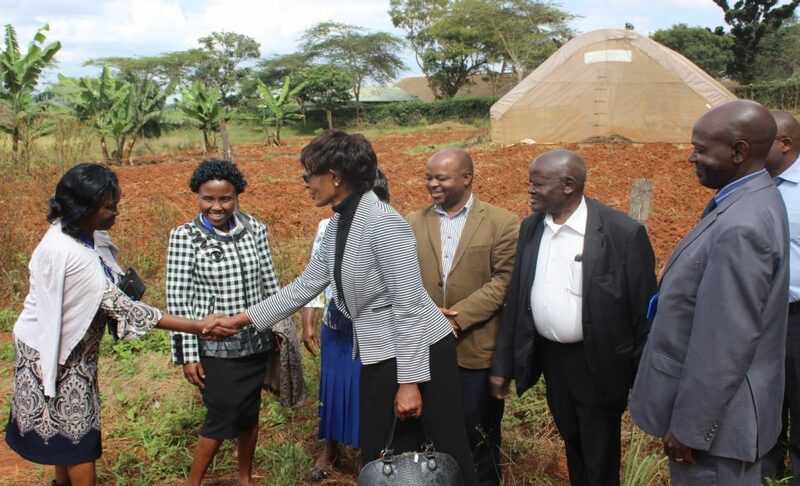 The Vice-Chancellor, Prof. Lucy Irungu on 5th July, 2018 embarked on a mission to strengthen ties with Machakos Agricultural Training Centre (ATC). 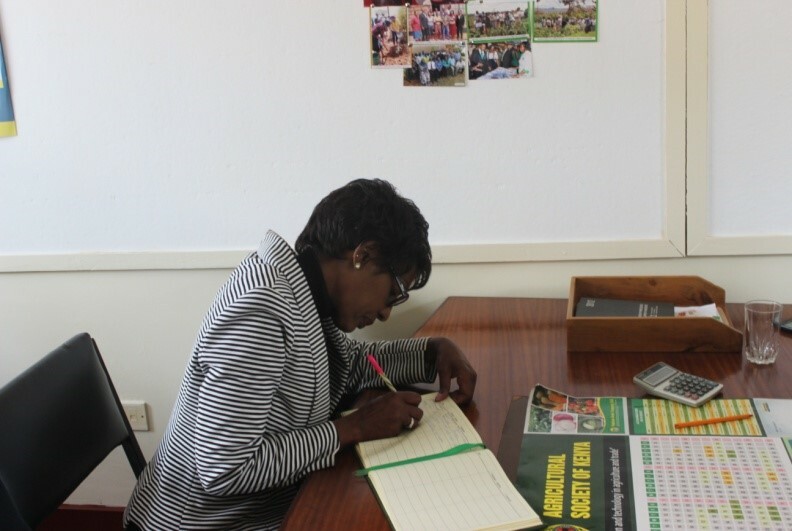 The Vice-Chancellor noted that for the University to live up to its mission of providing scholarly education through training, research and innovation for industrial and social-economic transformation of our communities, ATC stands out as a very strategic partner. 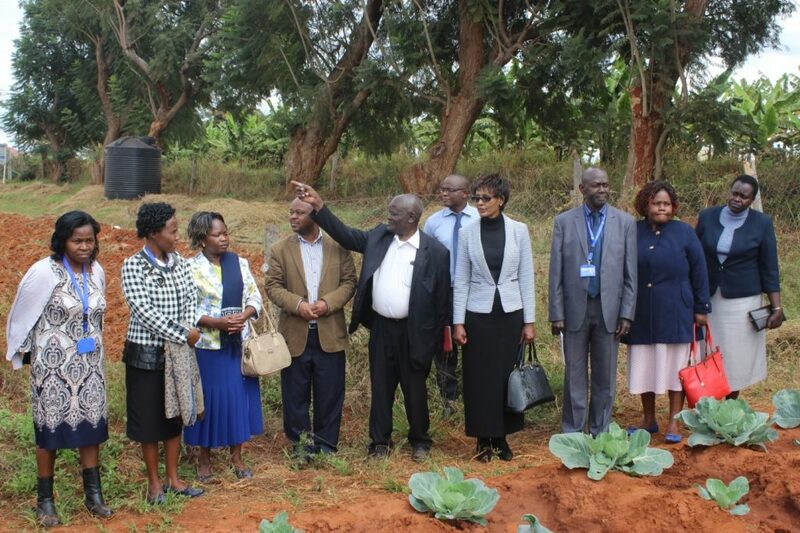 The Vice-Chancellor said that Machakos University is in the quest to contribute to the achievement of Kenya Government’s “Big Four Agenda”. 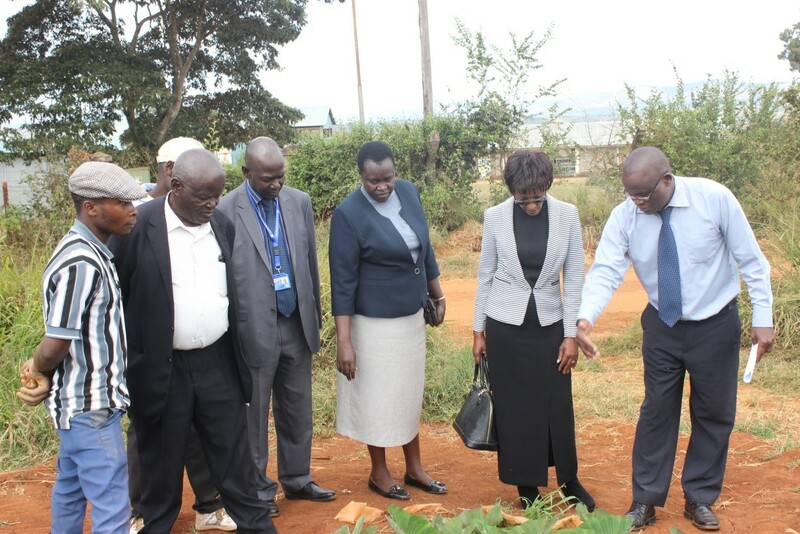 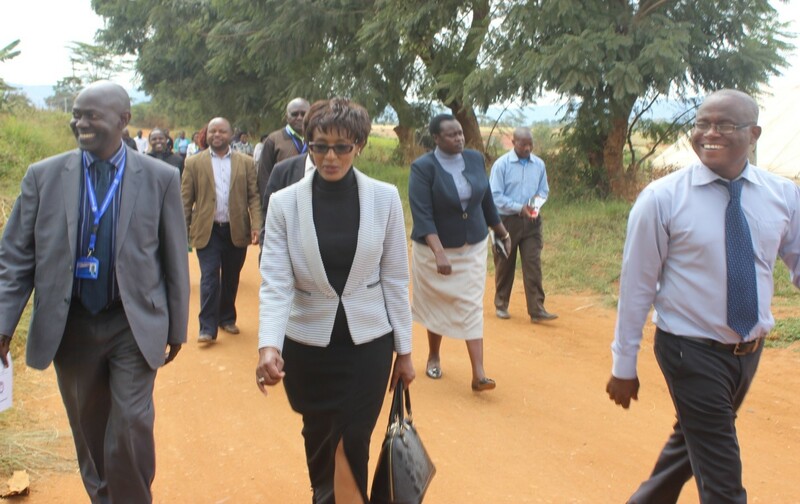 The Vice-Chancellor, Prof. Lucy Irungu arrives at the ATC. 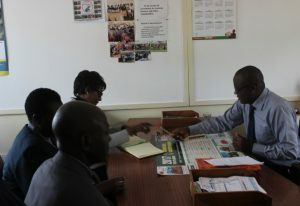 She was received by the Director, Mr. Justus Kyalo and she was accompanied by Prof. Peter Mwita, Deputy Vice-Chancellor (Research, Innovation and Linkages), Prof. Joyce Agalo (Deputy Vice-Chancellor, Academic and Students’ Affairs) and Dr. Jacon K’onyango, Dean, School of Agriculture Sciences. 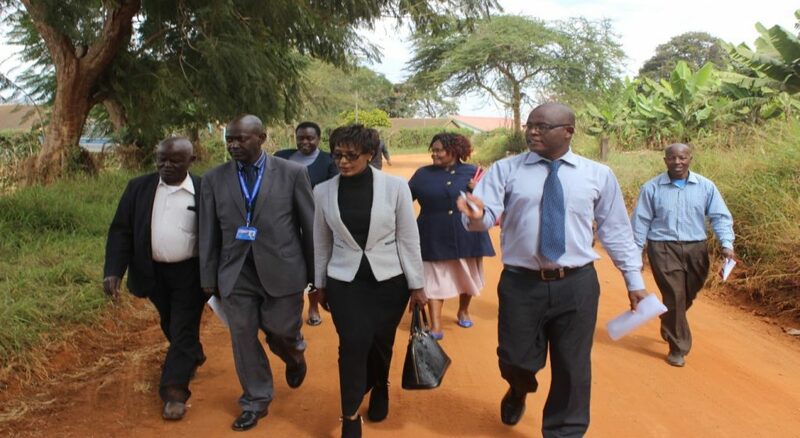 In his welcome remarks, Mr. Justus Kyalo, the Director ATC hailed the Vice-Chancellor for her passion in building synergies with ATC and noted that Machakos University’s continued collaborations with ATC has seen the community benefit. 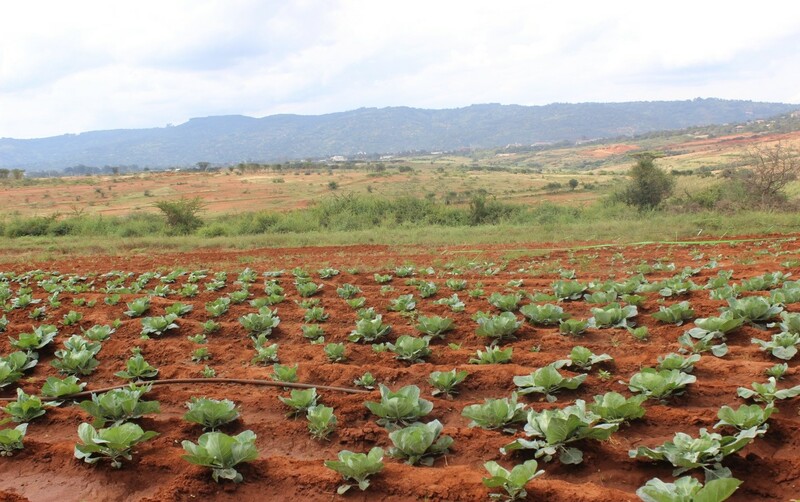 He singled farmers’ extension services provided by the University as one key area that has made immense contributions to farmers in Machakos County. Prof. Lucy Irungu signs a visitor’s book at the office of the Director.